With so much excitement over the KODAK PIXPRO SP360 Action Camera and with countless gleaming reviews and praises by tech and lifestyles editors, it is no surprise that the SP360 is on the forefront of leading technology helping YouTube content creators to share their world with 360-degree videos. Indeed the creator of the world’s first 360-degrees cameras was also recognized by Google for being one of only a handful of devices to support YouTube’s recently launched support for 360-degree videos. Using the Pixpro free PC and Mac desktop editing software for the SP360, video enthusiasts can now transcribe any video created with a press of a single button to the YouTube 360-degree format and upload content seamlessly to their YouTube Channel creating Virtual Reality movies. 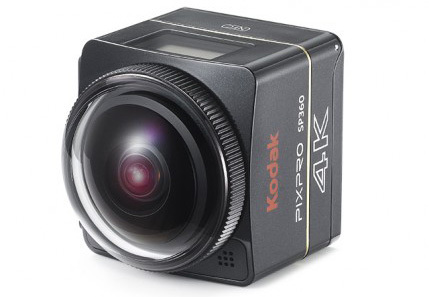 YouTube channel is abundant of 360-degree videos taken with the KODAK PIXPRO SP360. The SP360-4k Camera captures 360-degree field of view in multiple directions via its dome-shaped lens design and can be panned not only 360-degrees horizontally, but also up and down with a host of different vantage points and views for playback post-capture. It is easy-to-use and small enough to fit in the palm of a hand or pocket for extreme portability. 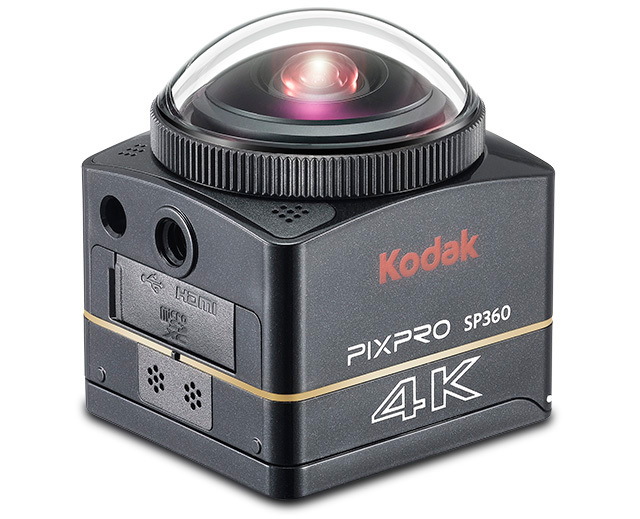 ‘The KODAK PIXPRO SP360-4K revolutionises video recording and how you see and experience the World All Around You. This is the next step to Evolution for 360-degrees Cameras,’ said Mariame Cisse, marketing manager of JK Imaging Ltd. ‘You can now create the most pristine videos and photos in 4K and Direct and Act your own Virtual Reality movie,’ she continued. Last year release of the first KODAK PIXPRO SP360 was received with great acclaimed by the press and especially by the sport/action people as it was designed for them in mind to answer the challenge of recording themselves and the action at the same time without the use of several devices. Engineered for unmatched portability and ease of use, the new KODAK PIXPRO 360-4K has been designed with the professionals in mind, and is full packed with technology that opens it to endless applications. With its stylish and sleek black design, it is NFC and Wi-Fi enabled so it can be used everywhere and anywhere. 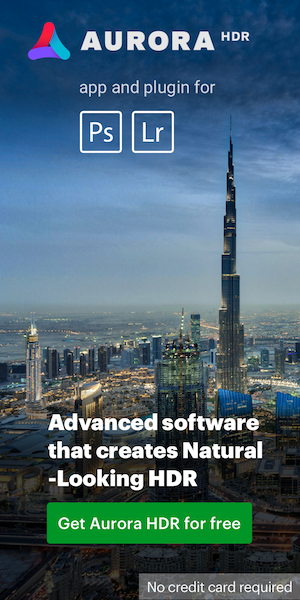 It features 10 different viewing modes that bring images and content closer to the user’s fingertips, resulting in a very personal and professional experience. A custom-design LiveView allow users to participate in events on the other side of the planet and still keep the data extremely secure. With its motion detection feature users will never miss an action. Powered with BSI Image sensor, high quality and high speed ensures better videos, with 12MP BSICMOS sensor and advanced optics the device help capture rich, detailed images now in 4K (2880:2880), and added features including time-lapse video, burst mode as well as 4K photos. The KODAK PIXPRO SP360-4K will be sold with varying accessory bundles depending on geographical region. It will be available in October this year in Europe. This entry was posted in JK Imaging, Kodak and tagged 4k, action camera. Bookmark the permalink. Trackbacks are closed, but you can post a comment.